It is rather exciting time in the study of ancient astrology. Most of the Hellenistic and Persian source texts available in English today were first translated in the last two decades. Additionally, a lot of that material has become available online. What are the seven best free online ancient astrology texts? 1. The Anthology by Vettius Valens, Mark Riley trans. Last year (2010), something amazing occurred in traditional astrology. Classics scholar Mark Riley released, for free on his website, his full translation of The Anthology of Vettius Valens in searchable PDF format. While it is a translation by a non-astrologer, it is the first full English translation ever released. Books VIII and IX were previously unpublished in English. Those familiar with the Project Hindsight translations of Books I-VII should know that they were relatively expensive to purchase. The Riley translation is a high quality English translation of what is arguably the most important text of Hellenistic astrology as far as predictive techniques are concerned. The Anthology was written in the 2nd century CE. It consists of nine books of practical ancient astrology. There is a stress on predictive techniques and Valens provides a wealth of examples. 2. The Tetrabiblos by Cladius Ptolemy, Frank Robbins trans. The Tetrabiblos is another pivotal 2nd-century Hellenistic text. Click here to read the Tetrabiblos in English in its entirety online. The 1940 Robbins translation has its flaws but it is a decent translation overall and great as a free reference. Bill Thayer re-typed the entire text onto his website as the text is now in the public domain. Ptolemy is the most famous of the Hellenistic astrologers, namely due to his astronomical work (e.g. the Almagest). His intricate geocentric model of the heavens was the standard prior to the Copernican revolution. In terms of Hellenistic astrologers, his influence on European astrology of the late Middle Ages and the Renaissance is considerable. As a Hellenistic astrologer he was atypical in that he rejected some elements of the typical Hellenistic system and sought a naturalistic explanation for astrology, rather than one based on signs. The Tetrabiblos has material on birth charts (natal astrology) and also material on interpreting charts for weather and political events (mundane astrology). 3. Mathesis by Firmicus Maternus, Jean Rhys Bram trans. In the fourth century CE, Firmicus Maternus wrote one of the most important works of natal astrology of the Hellenistic era. The 1975 English translation by Jean Rhys Bram is not without its defects, due primarily to the fact that the translator was not an astrology. A better translation, by James Herschel Holden, was published in 2011, though it also has some idiosyncracies and comes at a high price (~$60). The Bram translation is freely available in PDF from the Astrologia Humana website of astrologer Clelia Romano. Maternus is significant for his cookbook-style listing of example delineations for factor combinations. What might it mean to have Saturn in the 9th house during the day, as opposed to at night? Maternus will give you his opinion on some indications. This large work of 8 books is sure to give any astrologer a lot to work with in natal astrology. 4. Treatise of the Fixed Stars by Anonymous of 379, Daria Dudziak trans. Also available for free online is an English translation of the Treatise of the Fixed Stars by Anonymous of 379 (click here). The treatise is the most notable ancient text on the effects of the fixed stars. Those who wish to study the effects of the fixed stars from a Hellenistic standpoint will not be let down by this text. The fixed stars were primarily used for judging eminence, character, and chronic illness. 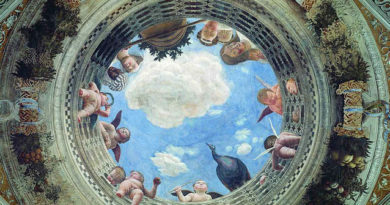 While there are many techniques for judging eminence in ancient astrology, bright fixed stars in prominent places such as conjunct the Moon or an angle, provide the strongest indications. Perso-Arabic astrologers of the early Middle Ages continued to incorporate bright fixed stars in their approaches to eminence. The link provided above provides access to the treatise as well as a table of the constellations and maps of the constellations which show the star positions. 5. Definitions by Serapio of Alexandria, Eduardo Gramaglia trans. Serapio is a Hellenistic astrologer from about the 1st century CE whose works are mostly lost. A nearly complete set of definitions survives from him. The last page of his manuscript is lost to history. However, note that the definitions are from a late Byzantine compilation and are known to contain additions and alterations from the Middle Ages. An English translation of the text by Eduardo Gramaglia was made available as a PDF in late 2013. Click here to access the translation. The text is notable because it is an early text in the Hellenistic tradition and explicitly defines key parts of the system. For instance, Serapio marks out which houses are malefic and which are benefic. He also discusses how planets earlier in the zodiac have “superiority” over planets later in the zodiac when in aspect, and even when in the same sign. An even more influential early set of definitions is attributable to Antiochus of Athens. That set of definitions forms a large part of Porphyry’s Introduction to the Tetrabiblos. It is also included in Rhetorius of Egypt’s Compendium. Serapio’s Definitions were translated together with the Porphyry text in one volume by James Herschel Holden, published in 2009. Holden also published a translation of Rhetorius the same year. 6. Carmen Astrologicum by Dorotheus of Sidon, David Pingree trans. While an excellent translation of Dorotheus emerged in 2017 by Ben Dykes (image below), the older Pingree translation is partially available for free. Deborah Houlding has made the first three of the five books available free as PDFs on her website, Skyscript: Book I, Book II, Book III (her notes on Book III). She has stated her intention to make all five books available so stay tuned to the page for updates. This is a pivotal text but I position it near the bottom of this list as only 3 of the 5 books are freely available at this time. Dorotheus wrote the large and influential Carmen Astrologicum (Song of Astrology) in verse in the 1st century CE. It has 4 books on interpreting charts of birth time (natal astrology). It also has 1 book on choosing lucky times to start activities and judging matters from the time of an event (electional/inceptional astrology). Dorotheus is perhaps the astrologer with the greatest influence on Perso-Arabic astrology. In addition to containing important natal astrology, he is the source for original Hellenistic electional astrology. His rules for electional astrology also form the foundation for the later practice of horary astrology. 7. Centiloquium by Pseudo-Ptolemy, Henry Coley trans. The Centilogquium is a set of astrological aphorisms by an unknown author, which was ascribed to Ptolemy. The aphorisms likely come from the Perso-Arabic period (~9th century CE). The aphorisms are available for study on Deborah Houlding’s website, Skyscript. While it is a lesser work, and somewhat disorganized, the aphorisms deal with all areas of astrology. They were also historically influential, as discussed on the site. I’ve focused on free English texts online. However, you may also be interested in critical editions of Hellenistic texts in their original languages. 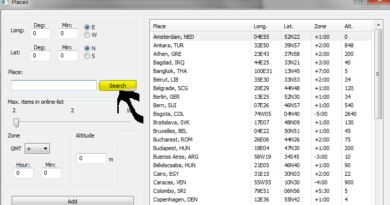 There are many available online. 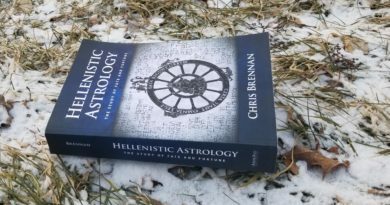 Chris Brennan has organized a valuable list of free critical editions on his Hellenistic Astrology website. This article was updated on 10/01/2018 to drop a dead link, add more online texts, and restructure the article as a Top 7. Some of the texts – the partial translation of Dorotheus and Serapio’s Definitions – became available after the publication of the original article. 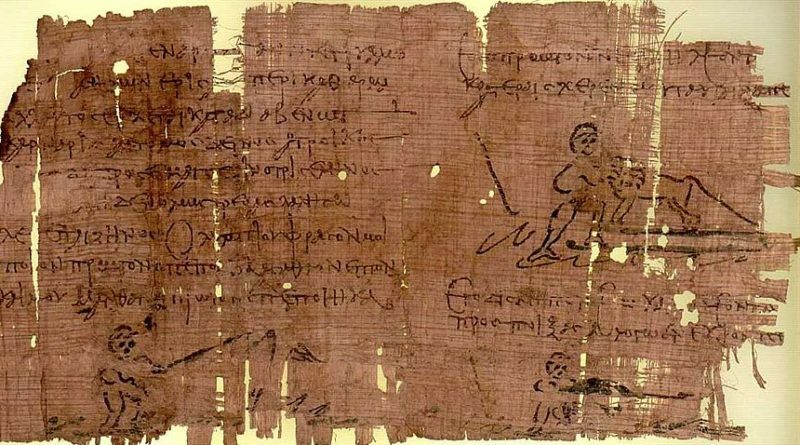 Featured image of third-century Heracles papyrus is in the public domain.